The Vikings are heading west! The Vikings are heading west! Yak Gear is proud to announce our United States distribution of Viking Kayaks, a New Zealand based kayak manufacturer is heading west to The Waterman’s Depot. As a United States retailer of Viking Kayaks and the accompanying line of paddling and fishing accessories, The Waterman’s Depot is distributing the newly designed Viking Kayak Profish Reload and the Viking Kayak Profish 400 Lite sit-on-top fishing kayaks. 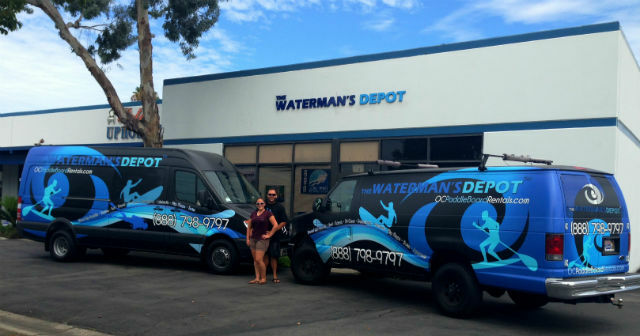 The Waterman’s Depot started by Mike and Shannan Luzansky in October of 2012. Lovers of the water, Mike and Shannan find themselves spending every free minute out on the Pacific Ocean in Orange County, California. Whether it’s paddleboarding, kayaking or scuba diving, they love the water. Initially starting with paddleboards, The Waterman’s Depot soon evolved into the ultimate retail store for water enthusiasts. With more than 100 brands of gear in their store, they carry the best brands in the kayaking, paddleboarding, scuba diving and freediving. Recently, Mike and Shannan launched their latest website, ikayakfish.com. This new site is dedicated to kayaking and kayak fishing. From kayaks and accessories to fishing gear and apparel, product reviews and how to videos, this will be the ultimate dedicated kayak fishing site on the net. To contact The Waterman’s Depot about the Viking Kayaks, you can call (888) 798-9797 or visit their website. We want to know what you think about the new Viking Kayaks! What are some qualities that you like about these new kayaks? Tell us what you think! Comment below, reach out to us at socialmedia@yakgear.com, or find us on Facebook, Twitter, and Instagram using the #YakGear hashtag!